I have always been fit and active but after 2 children (7 years apart) and turning 40 I found myself being a busy Mum with little time to think about me and my body. I had just finished breastfeeding and wanted to do something to get me back on track and reclaim my body. 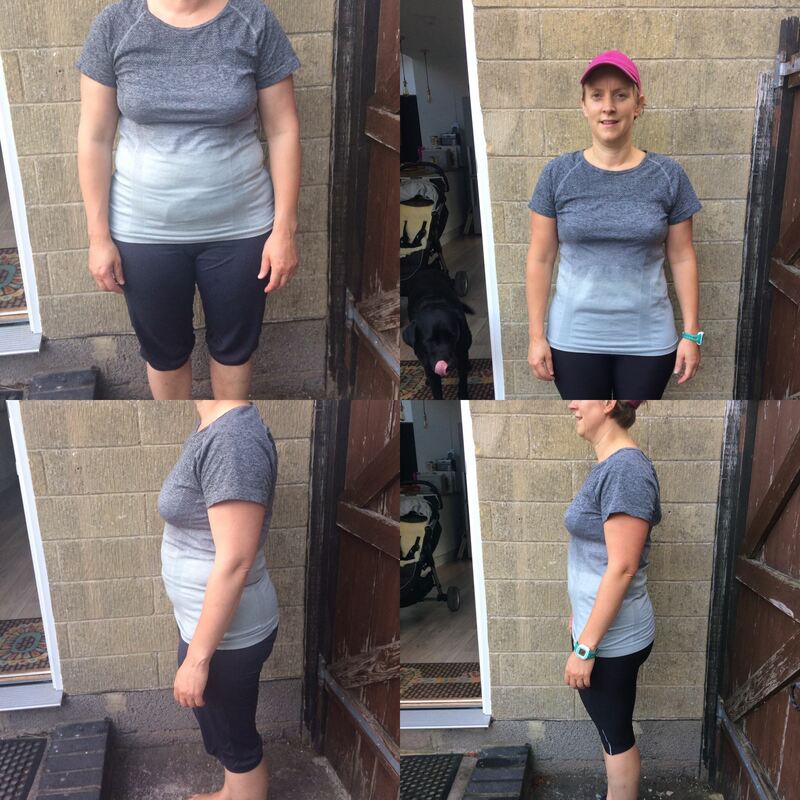 I needed something flexible, challenging but supportive and when I heard about Lorna's 8 week Kickstart programme, I thought it might fit the bill. I went for the Kickstart normal option as I felt with a nudge in the right direction, I'd be able to manage! The 8 week programme felt manageable and the support from Lorna, the website and most importantly, the Facebook group, kept me on track. I can honestly say that I didn't find any bits particularly tricky, I loved the exercise programme which I could do at home while the baby slept, on a dog walk etc. It meant that it fitted in with my life! The check in points were great too, measurements at the start, 5 weeks and 8 weeks demonstrated the progress I was making and kept me going. I also felt better mentally and slept better too! I'm really proud of my results and it is definitely something I will stick with. Total CM's Lost From a dress size 16 to a 12! Anyone thinking about doing this should go for it. A little bit of planning and the results are so worth it. Thank you Lorna for a brilliant programme that's all about balance and living life to the full. Were you inspired by Lou's story? If so why not start your own journey?